Cruz called O'Rourke a hypocrite for supporting taxing businesses for sales across state lines, pointing to a furniture store owned by O'Rourke's mother that was found guilty in 2010 of tax law violations. The U.S. Senate race between U.S. Sen. Ted Cruz and U.S. Rep. Beto O'Rourke took a personal turn Wednesday when Cruz's campaign accused his Democratic opponent of ignoring his "mom's tax fraud" while encouraging changes in tax laws to require businesses to charge sales tax on more online purchases. Charlotte's Furniture, owned by Melissa O’Rourke, was found guilty in 2010 of breaking tax laws five years earlier by accepting cash to avoid reporting payments to tax authorities. Beto O’Rourke has a stake worth between $1 and $5 million in the shopping center where the El Paso store was located, according to congressional records, which Cruz argued ties the congressman from El Paso to the tax fraud. The store was fined $500,000 and ultimately agreed to pay $250,000, the El Paso Times reported. Melissa O'Rourke closed the store in 2017, shortly before her son launched his campaign for U.S. Senate. She told the El Paso Times at the time that the store's closure was unrelated to her son's decision to run. Beto O'Rourke told the El Paso Times on Wednesday that the "store made a mistake and the issue was resolved" and that he did not want to engage with Cruz's personal attacks. "The bottom line is that I'm very, very proud of my mom," he added, talking to the Times. "I love her more than I can say and I'm very grateful for everything that she does, including for her entire life running that store, which her mom started in 1951." An O'Rourke campaign spokesman referred The Texas Tribune to the Times' story when asked for comment. Texas Democratic Party Deputy Executive Director Manny Garcia condemned Cruz's statement in a news release, calling the senator "the epitome of the sick politician that will say and do anything to cling to power." Then-presidential candidate Donald Trump suggested during the 2016 presidential election that he had "dirt" on Cruz's wife and that Cruz's father was connected to the assassination of John F. Kennedy. Cruz condemned Trump's statements at the time as "classless," calling him a "coward." 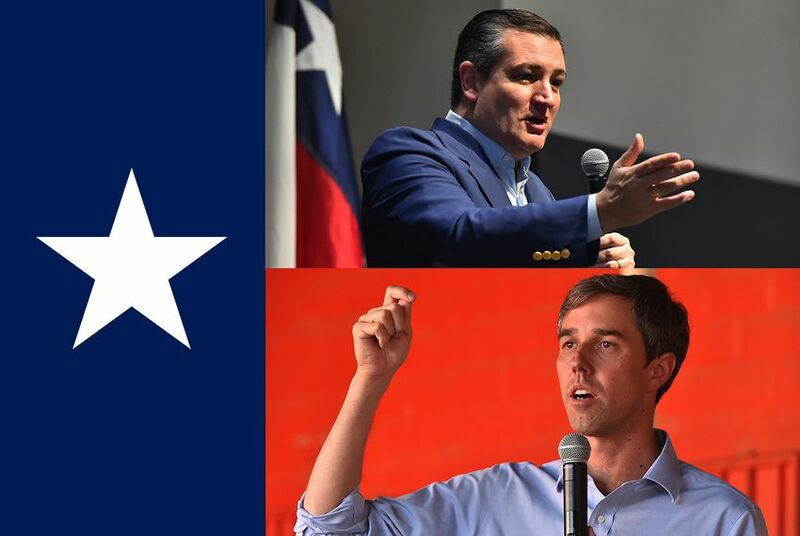 The Cruz campaign's latest attack follows a Dallas Morning News story in which O’Rourke said he supported having businesses collect sales tax for revenues across state lines, a measure Cruz fiercely opposes. O’Rourke said in the interview that doing so could halt increasing property taxes and protect local businesses. Cruz said taxing across state lines would hinder online-focused mom-and-pop businesses from flourishing. "His recent statements advocating that local businesses become tax collection agents for every state in the nation stand in stark contrast to his mother’s history of tax evasion," Cruz's campaign said in its news release. Currently, online retailers only need to collect sales taxes in the states where they have a physical presence. The two candidates spoke as the U.S. Supreme Court prepares to rule on a case related to the issue. Correction: An earlier version of this story incorrectly said Melissa O'Rourke pleaded guilty to a tax violation. Her store was charged as a corporate entity.